Finding the Right Wedding Limo Service in DC for your Wedding. With a wedding coming up, every detail matter. If you are planning for your own wedding or you are helping your daughter, future daughter-in-law, or a best friend, you want them to have the best of everything. It’s why you know the type of Washington DC Wedding Limos you hire is going to matter because not every Wedding Limo Service DC Has to offer is Reliable. In fact, far too many of these transportation companies that are small or new only have one or two vehicles in their fleet. They might look okay, but the older a vehicle is, the more likely it is going to be less comfortable, not nearly as clean as one would expect, and not provide the kind of experience newlywed couples would expect. On Top of That, Many of These Small Companies Have A Tendency to Overbook. We understand cancellations happen, but what if you hire a DC Wedding Limo Rental from one of the small, new companies for a wedding and that company doesn’t get cancellations? Most of these transportation companies do not offer 24/7 customer support so on a Saturday or Sunday, in the middle of the afternoon, you might call because the vehicle is not there yet and be met with an automated answering service. 15 minutes go by. Than half an hour. The bride and groom are getting hot on the street corner. There’s still no limo. If you want the best, simply contact Cheap Limo Service DC and you will get it. We offer the best reliability and safety. We have one of the largest fleets of available limos and buses. And all of them are considered late-model and are incredibly well-maintained and clean. We have some of the safest, most knowledgeable and experienced chauffeurs who provide the VIP experience for every single client. If the newlywed couple is heading out of the honeymoon, they also provide the best DC airport car service that will get them there on time. Perhaps you hold in your mind the image of your wedding day, complete with your arrival to the ceremony in an elegant limousine. Your perfect day might very well conclude with a ride as a newly married couple in the same sleek and swanky vehicle. With our extensive fleet of luxurious vehicles and an industry leading team of wedding day experts, Washington DC Wedding Limousine can turn all of your wedding transportation dreams such as that grand entrance and exit into a reality. Cheap Limo Service DC is proud to offer affordable wedding limo rates, yet maintain our trademark stellar level of performance and we look forward to learning how we can make your special day truly memorable. Cheap Limousine Service Rental boasts one of the largest and most varied vehicle fleets in town, including several popular limousine styles such as stretch, super-stretch, SUV, and Hummer models. Classic black car service & limousines are readily available as well as white models in several sizes which are frequently a favourite for occasions such as weddings. All of our vehicles are scrupulously maintained to an impeccable standard, such that you’ll never have to worry about your safety or comfort when riding with us. Our top line limousines include features such as built in entertainment (TV and/or DVD), custom lighting, a bar service area, and sound systems with plug-ins for your personal music player. Throughout your special day, you’ll enjoy the DC Wedding Transportation services of one of our experienced chauffeurs. Our team of knowledgeable professionals is uniquely trained in safety, courtesy, and our signature attention to detail. As DC Wedding Limo Rental Service specialists, their utmost goal is to make your occasion one to remember. Their dedication to your satisfaction means you can enjoy the ride without any cause to worry. Always ‘on time every time’, Cheap Limo Service Rental won’t let you down on this most special of days. All of our vehicles include complimentary water and mints onboard. And our personalized level of service means any special requests for your wedding day are easily and happily fulfilled. Our DC Wedding Limo Service is not limited to the day of the event. But rather we also can also take your wedding party to a photo session. The rehearsal dinner, out on the town for your bachelor and bachelorette parties. As a new couple to the airport for your honeymoon. There’s no need to shop around; Cheap Limos Service Rental has the perfect vehicle for groups of any size and booking all of your wedding related transportation arrangements with us will ensure that you experience seamless service at an affordable price. 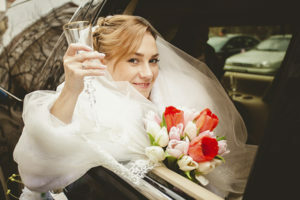 You’ll want to reserve your DC wedding transportation with DC Wedding Limo Rental well in advance to ensure the availability of your chosen vehicle for your date. Especially during the peak summer season. Secure a vehicle for your date first with our convenient. And user friendly online reservation system then contact our 24/7 customer service center and one of our knowledgeable. And friendly representatives will discuss all the important details so that we can make your day memorable beyond compare. At Cheap Limo Service DC, we sincerely want your wedding limos to be special and your transportation to be worry-free. We keep things simple so that your only concern is to enjoy your special day. Please contact us today so we can begin to become your go-to special occasion transportation company. DC Wedding Limo Rental, Free Quotes, and the Best Wedding Limo Service Nationwide! Find the Top and Very Reliable and Affordable Limousine Services in Entire USA. From Airport Transfers to Wedding Limo to Party Limo or Group travel. We cover all for you.